To be able to relax or concentrate we sometimes need to create our own atmosphere in which we feel comfortable. 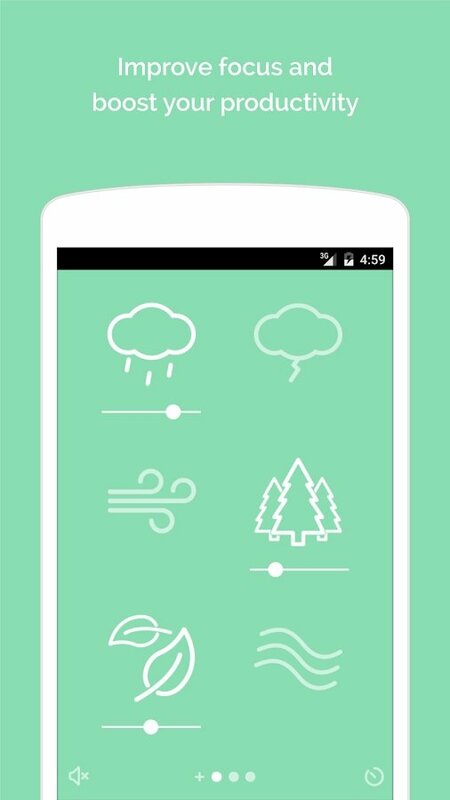 Noisli is an app that will turn our Android device into a sound generator that will isolate us from the rest of the world. 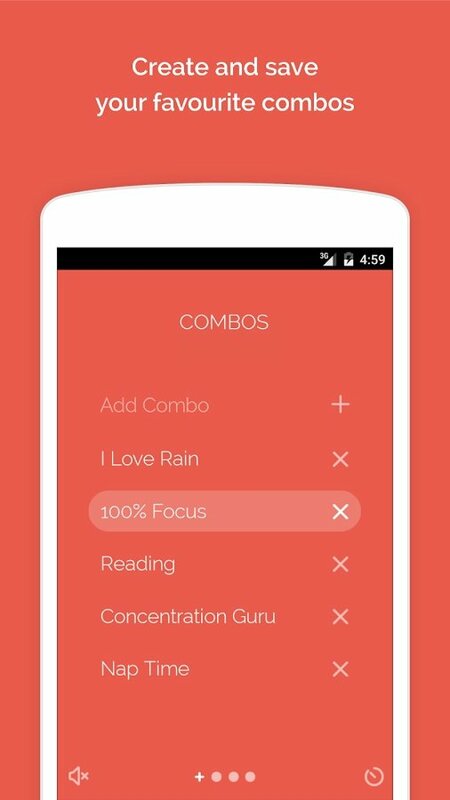 Increase your concentration and productivity with a pleasant atmosphere. 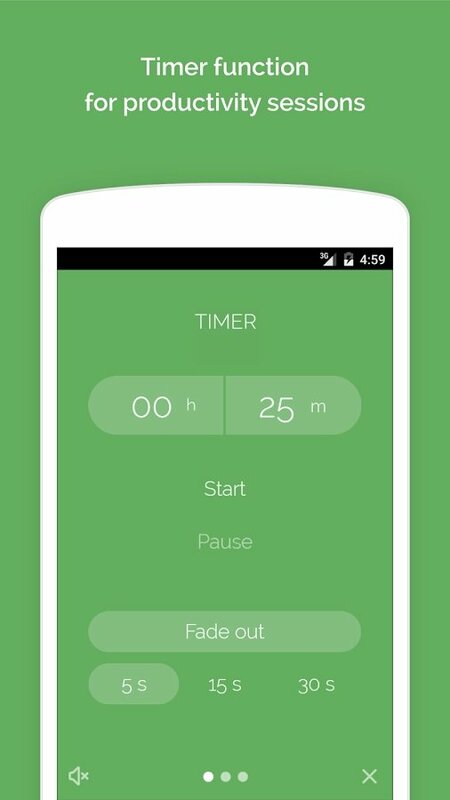 Whether you need to concentrate on a certain task or you want to relax and fall asleep, your smartphone can create a special atmosphere by offering you pleasant sounds. 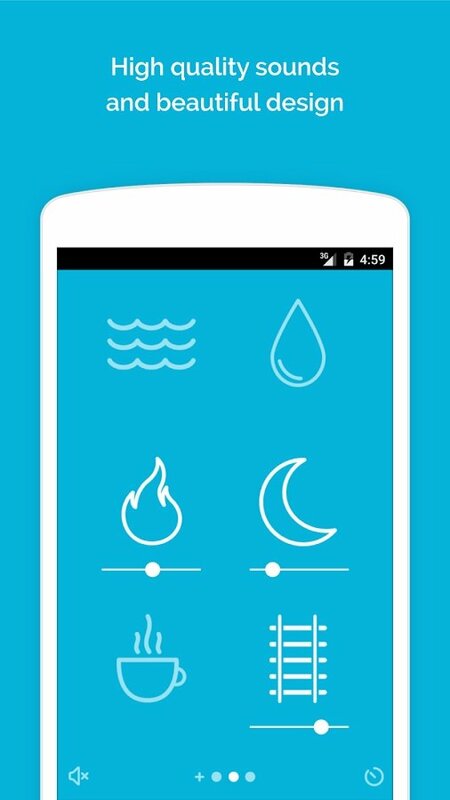 It works by mixing different sounds that you can adjust to change them to your own liking. 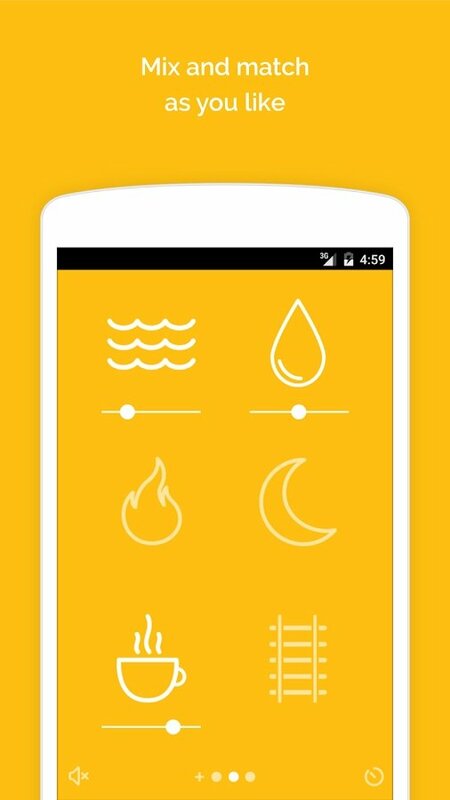 What sounds are available on Noisli? Seaside with seagulls and waves. Summer night with owls and grasshoppers.